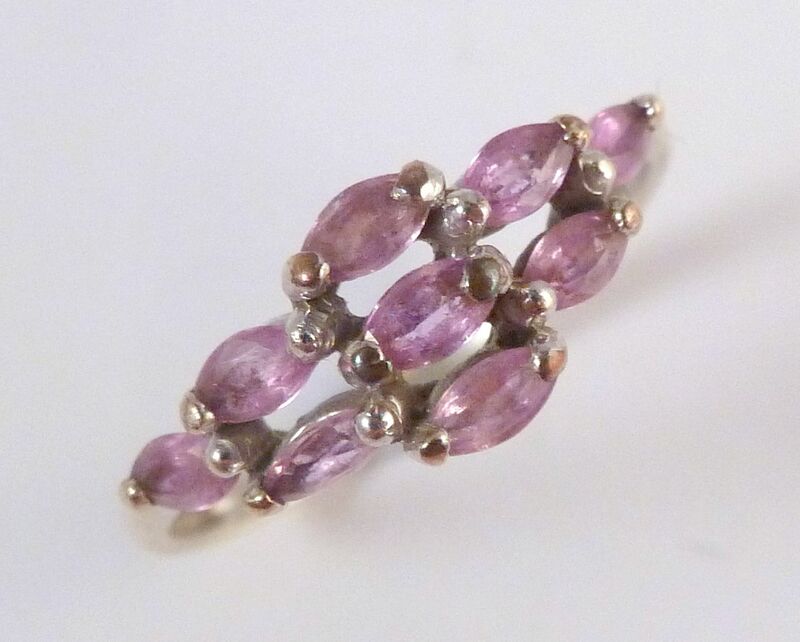 9ct Gold Pink Sapphire Multi-Stone Cluster Ring. Stunning 9ct gold, pink marquise cut sapphire, multi stone cluster ring. 9ct gold, marquise cut pink sapphire multi-gemstone cluster ring. Featuring nine marquise cut pink sapphires. horizontally set in columns. Each column increases the number of the pink sapphires, culminating in a central column with three pink sapphires. The ring is Hallmarked for 9ct gold, Birmingham, 2004 with the makers mark QVC. The ring is a UK Size T, US size 9 3/4. Ring Size UK T , US 9 3/4. 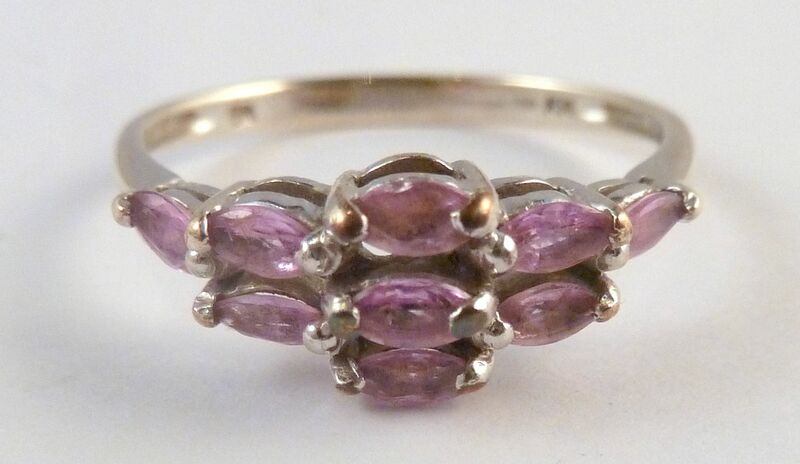 9ct gold, pink marquise cut sapphire ring. 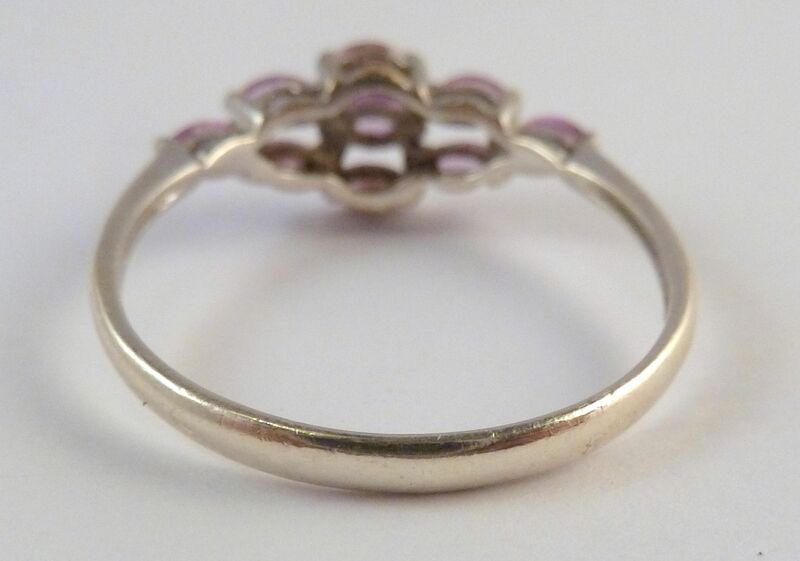 Hallmarked for Birmingham, 2004, 9ct gold to the inner band of the ring, with makers mark QVC. Very good condition, very minor wear in keeping with age. 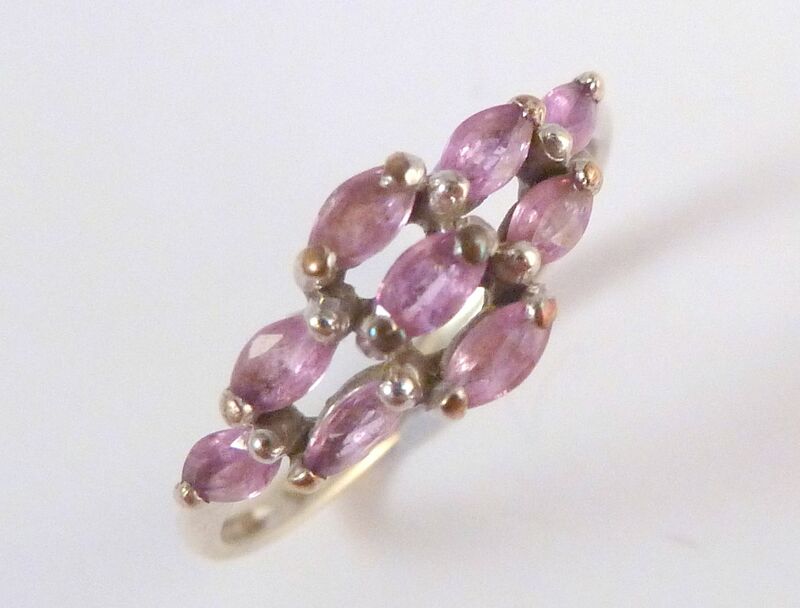 A stunning, modern 9ct gold, pink sapphire cluster ring. 9ct Gold And Freshwater Pearl Two Row Vintage Inspired Necklace. Vintage inspired 9ct gold and freshwater bouton pearl, double stranded necklace. Antique 15ct Gold Sapphire And Diamond Floral Design Brooch. 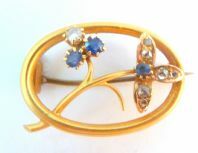 Antique, early 20th century, 15ct gold, sapphire and rose cut diamond floral design brooch complete with original box. 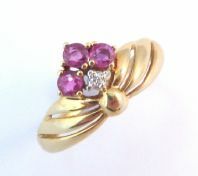 Vintage 9ct Gold Ruby And Diamond Dress Ring. 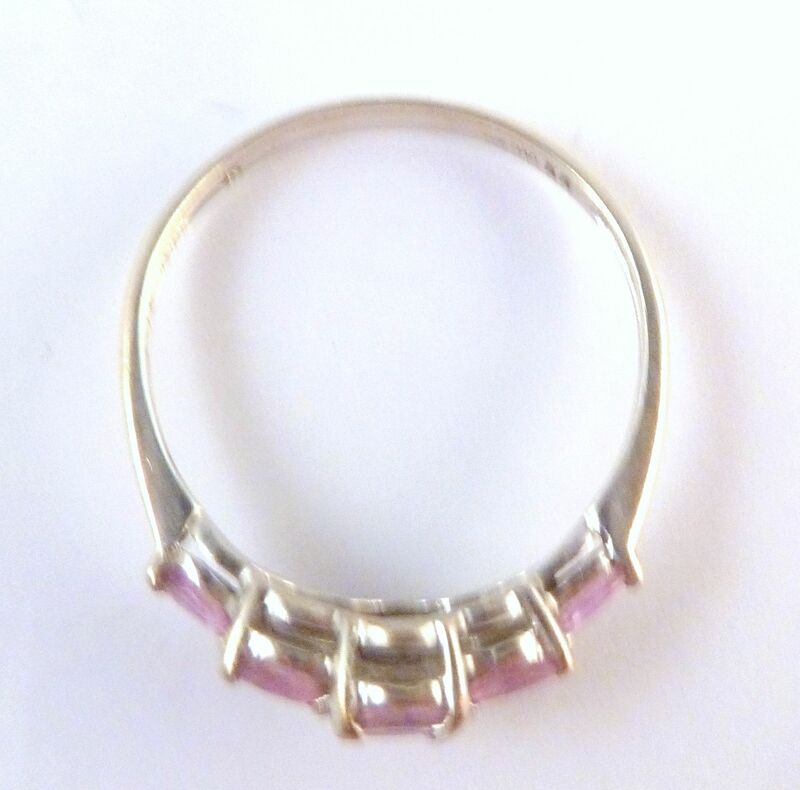 Vintage late 80's 9ct gold, chevron set rubies and diamond set dress ring.